Cruising Ebay.UK today and came across Enfield rifle spoons. Now that is something every Enfield guy doesn't have. 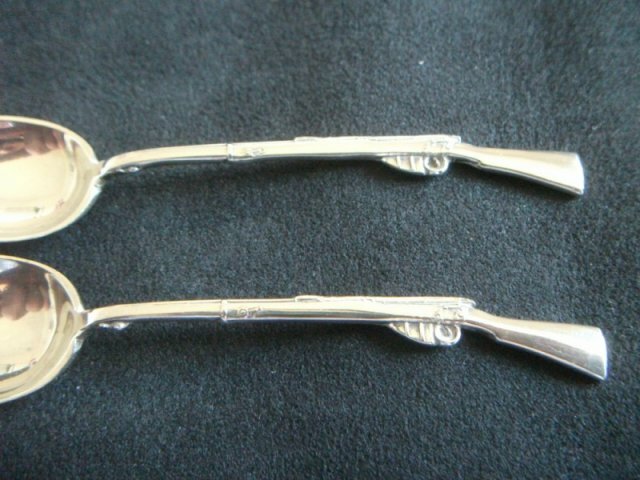 2 spoons available and hallmarked and matching for Birmingham 1934, whatever that means. Still pretty cool. The current bid is only 5 pounds sterling.